Winjama: Life Is Like That, Y'know? Life Is Like That, Y'know? Sometimes, life throws you a curve or it throws you for a curve... I'm really not sure which it is. Either way, it's pretty much the same result. Your life changes in an instant. Dianna's life certainly changed in an instant. Mine did as well. I had the easier part to play in the whole deal. It was on Wednesday, 16 March, 2016. I had just finished taking a shower at about two o'clock in the afternoon. I heard Dianna call me from the living room of our new house addition. She didn't sound agitated or anxious, so I strolled out to see what she wanted. There she was laying on the living room floor. After a brief exchange, I knew she was in a great deal of pain and wasn't getting up under her own power. Luckily, Vivien, our friend, who with her husband Denis, own the house almost directly across the street from us, was home. Vivien is a Registered Nurse, and she came over in a hurry. As soon as Vivien got in, I called the Corozal Hospital and told them we needed an ambulance right away for my wife who had just fallen and broke her hip. Amazingly, they showed up in a little less than five minutes. With Vivien directing, the ambulance crew, the two 'technicians,' who maybe had the equivalent of advanced first aid training, bundled her up and got her placed in the ambulance. Vivien rode in the back with Dianna. I stayed behind just long enough to close the place up and head up to the hospital. Both Dianna and Vivien said the ride to the hospital was fast, very rough, and the siren was blaring the whole way. By the time I got up to the hospital, they had placed Dianna in bed and had jury-rigged a traction device for her leg, made up of a hospital sheet, and a fabric bag filled with rocks, to provide tension. Right away, in fact, before I got to the hospital, they were working at getting ready to transport Dianna by ambulance to Karl Heusner Memorial Hospital (KHMH), the primary care hospital in Belize City. Within just a few minutes of my arriving at the hospital, they had Dianna in the ambulance, along with Vivien, and away they went. This was roughly four O'clock PM. 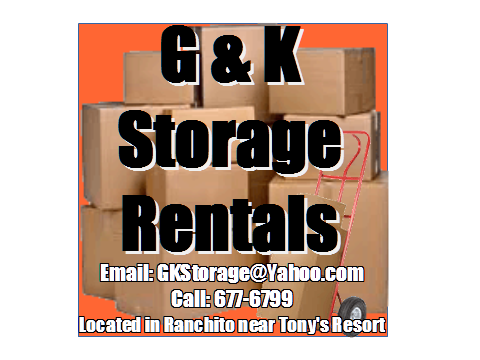 I had to go back home to feed the dogs and cats, grab some stuff that we might need for a couple of days and hit the road to Belize City. I was thinking so clearly that it's amazing I made it at all. I know I grabbed a few things for Dianna. I couldn't tell you what. For myself, I grabbed two teeshirts, one pair of underpants, and my toothbrush. That was it. I think I did manage to grab both of our iPads, but nothing else. I hit the Northern Highway, headed to Belize City just as the sun was setting and it was beginning to get dark. Not good timing. Of course, I was rushing along, trying to catch up with the ambulance, totally forgetting that they had a good hour's head start on me. The further south I went, the darker it got, and as I was heading to Belize City, naturally, the traffic got heavier and heavier. Somewhere in the area of Sand Hill, on the outskirts of Belize City, there was some road repair going on. Of course, by this time it was pitch black. I passed a row of orange traffic cones - on the wrong side. The co should have been on my left. What were they doing on the right? Just about the time I realized I was on the wrong side of a large road repair project, I saw headlights coming directly at me. I violently swerved the truck and got back onto the proper side of the road. I have no idea how close we came to having a collision. Now, with my adrenalin soaring even higher, I managed to get behind a Belikin beer truck. I had the presence of mind to realize he probably knew the road and staying behind him was a smart move, so that's what I did. Lucky for me, I stayed behind him till he turned off just past Benny's Hardware Superstore, heading into the city. After that, it was only a few blocks to the round-about at Sav-U Supermarket, where I turned off to KHMH. I swung into the pay-parking lot at KHMH. With no attendant on duty, it was free. I headed into the emergency entrance on the side of the hospital, completed my first negotiation of many with security, and found Dianna. Dianna and Vivien were in a little curtained off area in what would normally pass as a hallway, but here, it served as the trauma center, with Dianna occupying one-half on one side of the hallway. Right beside her bed was a stock shelf full of trauma supplies - you can see in the photo someone is reaching for supplies as I snapped the photo. Within just a couple of minutes, the other half of the trauma center was occupied by a gun-shot victim, which created a virtual whirlwind of activity in its own right. A few minutes after that, the gun-shot victim's family showed up, with load wailing and crying. This only intensified after about 15 or 20 minutes as the victim didn't make it. As a result, stress levels for the three of us elevated just a tad. What are you going to do? It is what it is, as they say, and you just make the best of what is available to you at the time. After probably another half hour, the staff moved Dianna to the emergency ward, freeing up space in the trauma center. There was a great deal of discussion as to what they were going to do with Dianna. Something about if she was going to have surgery right away, or if they had to wait for blood. Turns out, blood was a big, big issue. Around that time, I'm thinking around 11:00 PM, Vivien and I left to go find some lodging for the night. Of course, we picked the worst night of the year to try and find hotel rooms in Belize City. Turns out that the Ambassador of Taiwan was in town, and every Chinese business person in the country was here to meet and greet him. as a result, hotel rooms were really at a premium. We tried two or three places on the highway, all booked, till we found this one place that did have a couple of rooms. I don't know what kind of room Vivien got. Mine didn't have any windows. It did have one lightbulb in the room, as well as a small one over the bathroom sink, and no hot water. Turns out, you were supposed to ask the desk to turn on the hot water. We found that out when we checked out the following morning. Still, I guess we were lucky to have found a couple of rooms. 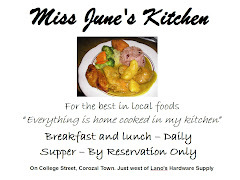 The following morning, Vivien went by bus back up to Corozal. We'd have been lost without her help in the early stages of this event. I went back to the hospital, and began learning how to work with (or around) hospital security, where sources for food could be found (restaurants, fast food places) and drinks, like coffee in the mornings, and what all I would have to do to help ensure this all came to a successful conclusion. Here's a bit about KHMH. 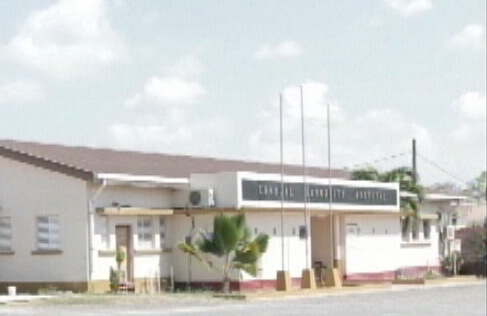 The Karl Heusner Memorial Hospital (KHMH) had originally been the Old Belize City Hospital in Belize City. It was renamed in 1995. It was built to replace the old hospital that had been founded in 1820. 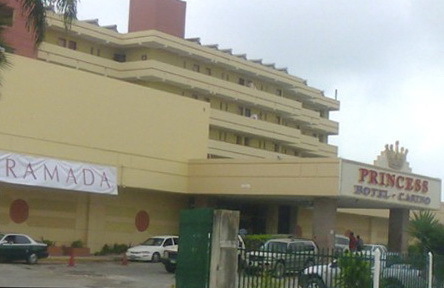 The Old Belize City Hospital’s original purpose was to provide medical services for sick and deprived seamen involved in shipping. In 1871 the hospital later converted to a general hospital and continued with a series of conversions throughout the years, leading to the opening of the new hospital in 1995 and the name change. KHMH was named in honor of Dr. Karl Heusner who was born in Belize on September 6, 1872, to German immigrant parents. He was known throughout the Caribbean and Latin America for his expertise in tropical diseases. Today, KHMH is the country’s primary hospital and provides tertiary care for the entire country. Over the space of the next ten days, I got to become very familiar with KHMH. On with the story. After Dianna met with several doctors and had a basic set of X-rays taken, it was the recommendation of the doctors that she have a hip replacement operation. 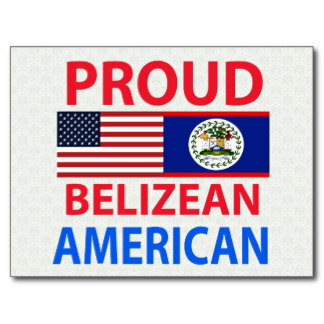 Being Belize, that was easier said than done. Getting the surgeons was no problem. Getting the operating room at KHMH was apparently no problem either. The problem was that the tools for the operation and the actual replacement hip joint parts weren't available through KHMH. 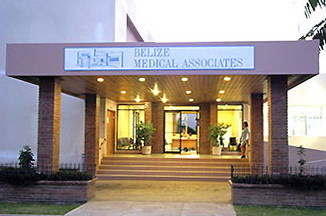 They were only available from a private hospital, Belize Medical Associates (BMA). The two surgeons who would be doing Dianna's operation were not part of the BMA corporation. They rented office space from BMA. I think this arrangement allowed them to work both at BMA and KHMH, but it could be that they have to do double duty because surgeons are a relatively scarce commodity in Belize. For us, that was a good deal. Dianna got the excellent services of private hospital surgeons at the low cost of a government hospital. I met with one of the surgeons to pay for the rental of the tools for the operation and to purchase the parts for Dianna. I handed over my credit card, which brought things to a halt. There was a problem. The doctors had no way to deal with credit cards. It had to be a cash transaction. I had on hand, about $50.00 BZD cash. 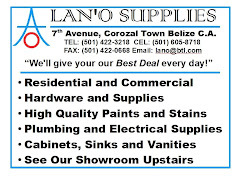 Our local Corozal bank account didn't have enough money in it either. It would have to come from our bank in the States. At four o'clock on Thursday evening, that was going to be tough to set up. What to do, what to do? I could see this taking several days to get sorted out. Dianna was now scheduled for surgery on Monday morning, assuming we got the money, and that suitable O-negative-donors were found (more about that in a moment). After sweating a bit, I came up with an idea. I called my usual money changer, swearing to him that I would write him a check as soon as I got back up to Corozal if he would make the money available for me. Being the nice guy he is, he agreed to it right away. My only problem, then, was how to get the money down to Belize City. We talked about it for a minute or two, when he said to give him a couple of minutes and he would call me right back. Upon answering the phone, he asked if I knew where the Princess Casino was. I did. He directed me to go to the cashier's cage, ask for a particular person, and that they would take care of me. I drove over to the casino, walked up to the cashier's cage, and a couple minutes later, walked back to my truck with the money in my pocket. Back to the doctors, where I completed the transaction. All was good to go for Monday. All I had to do now was find 2 pints of blood. For the rest of the weekend, I spent almost all my waking hours on the phone or on the intertubes chasing down rumors of folks with O-negative blood who might be interested and/or eligible to donate a pint for Dianna's surgery. The doctors required that she have two pints on hand at the hospital before the surgery could take place. In most cases that is a fairly firm requirement in Belize, and for those with O-Negative blood, it is a hard and fast requirement, since O-Neg folks can donate to any other blood type, but can only receive blood from O-Neg donors. Since her surgery was scheduled for Monday morning, I spent the whole weekend chasing leads on potential donors. More or less, it became a one-person nation-wide blood drive, which was hampered for part of the weekend, because my cell phone had run out of minutes and I didn't realize it. I could receive calls but could not make calls. If I remember right, that was pretty much the case for Saturday afternoon. Here in Belize, most people don't have cell-phone plans. Most simply go to their nearest store and purchase time in many different increments. We now have a way for you to purchase time by calling a number for your bank and transferring money to Digicell (who I use) or Smart, to recharge their phones. It's not easy to find qualified blood donors down here. Many Belizeans have phobias connected with folk tales about blood donations. There's also a lot of diabetes and other blood-related diseases that inhibit donations. The Mennonite communities in the country, being of Germanic descent, have a somewhat sizeable number of O-Neg people. The problem in reaching them is at least two-fold. One, communications. With the exception of the Communities in the Spanish Lookout area, most do not have telephones, either landline or cell. Two, nor do they have internet connections. Then, I guess there really is a third, the problem of them being able to get to a blood center to donate as most do not have motor vehicles. You would think that with the number of expats in the country, that it would be fairly easy to find donors among that group. Not so easy. For one, in Belize, if you are 65 years or older, you cannot donate blood, no matter how healthy you are. This is an issue which younger expats should think about when they come here. Donate while you are able to. You can build up credits with the Blood Bank, which is run by the Ministry of Health, Belize Blood Bank, which might help alleviate problems if and when you need surgery. All blood donations are coordinated throughout Belize by the Ministry of Health, Belize Blood Bank, Central Laboratory Unit (http://health.gov.bz/www/units/central-laboratory-unit). The Blood Bank follows very strict procedures regarding security of personal information, and that each donation is safe, both for the donor as well as for the recipient. Potential donors answer a set of questions, get their blood typed as necessary, and their blood iron levels tested, ensuring they are in good condition to donate. Each pint donated is then run through Central Labs testing facilities for malaria and HIV before it is allowed to be used. As the weekend moved into Sunday, I began to narrow down the field of possible donors. It seemed as though one in the Cayo District was a sure thing, and I had a strong lead up in the Corozal area. It turns out that those were the two donors who came through for Dianna. I found out after the fact, that there were quite a few people who showed up at the various blood banks around the country but were found to be ineligible through the screening process. I wish there was a way to thank everyone who attempted to donate. Your efforts were very much appreciated. Monday morning found me at 8:30 AM, running from the Blood Bank (next door to KHMH) to the surgery ward with a small slip of paper confirming that there were two pints either at KHMH or enroute via ambulance from where the donation was made. Dianna was going to make her scheduled surgery time. By this time, I was quite familiar with the security folks, including the young man who ran the booth at the parking lot at the front of KHMH. Sometimes, you have to get a visitor badge from the security folks at the main entrance, other times, not so much. One of the key things they worked on trying to control was visitor access during 'Doctor's Rounds.' The doctors don't like having unnecessary people around while they are conducting their rounds. KHMH also is a teaching hospital, so there are quite a few interns running around the hospital and as a consequence, Doctor's Rounds can become crowded. Part of the problem is that patients have to rely on family and friends for a lot of the care given them during their hospital stay. The caregivers (that's what I'm calling the family and friends visitors) are there more or less 24/7 taking care of the patient. They help with feeding, bathing, clothing the patients, and in a couple of cases we know of, actually conducting a fund-raiser from the hospital bed-side to raise money for necessary surgery. Dianna was really hampered, in that she only had me as her caregiver, and I was involved away from the hospital a lot of the time, trying to track down blood, or making a food run, finding equipment that Dianna was going to need, etc. Thankfully a couple families of Belizean patients in her ward (there were six ladies in the ward) pretty much adopted Dianna and took care of her in my absences. I tried to return the favor by making a few pizza runs, bringing coffee, that sort of thing. Specifically for Dianna, I was able to borrow a soft-sided insulated cooler from Bruce and Colleen. They had brought down goodies to share, and let me borrow the cooler for the duration, which I kept stocked with Jello Cups, Puddings, fruit, candy bars, ice, custard, yogurt-coated raisins, cookies, crackers, fruit juices, all of which Dianna shared with her ward-mates. I made runs to Brodie's and Bennie's up on the highway, for various things - a walker, a toilet extension, a small clip-on desk fan, since air-conditioning was not available in that ward. It was available in private rooms which would have been an additional expense, and turns out was not really missed. Everything except the fan was stuff that Dianna would need once we got back home to Corozal. My memory is a little foggy, but sometime on that first Thursday, I got a call from a lady, who told me she had a small apartment close to the hospital, that I could stay at for $25.00 BZD per day and a one-time $50.00 BZD donation to the charity of my choice. Not knowing what to expect, I found their house, not five minutes away from KHMH. It was a large two-story home owned by Gillian and Gordon Kirkwood. Gillian met me at the gate (which had it's own quirks and foibles to get in and out of) to their place, and showed me upstairs to the nice efficiency apartment that became my home for the next several days. It was a nice, clean apartment with a mini fridge, toaster oven, private bathroom, nice queen-sized bed, cable TV, and wireless internet. Gillian and Gordon are very active in Belize Animal Rescue, and frequently all over the country, involved in animal rescue activities, including manatees, crocodiles, parrots, monkeys, snakes, dogs, and cats. And the stray human now and again. Alright, now back to KHMH. You want to talk about uniforms? Man, there are a ton of them at KHMH. I have no idea what they all mean. And name tags, no one wore them. The only 'position' tag we saw the whole time we were there, was a nurse in the Emergency Ward. Her tag said 'Charge Nurse.' So, I guess that's what she was. I did learn what a few of the uniforms were for, security, possibly housekeeping, etc. Seems John had fallen down a flight of stairs at a resort on one of the cayes, while they were having a power failure. Of course, their generator didn't start, so in pitch black, John took a tumble and broke his neck. He was there for a while after we left. We saw him periodically in Corozal after that. He eventually was able to ditch the halo and was doing his construction business once again. Unfortunately, about three or four months ago, John had to go back down to KHMH for some additional surgery on his neck. They had put him in an induced coma for the procedure, and he never woke up from it. His passing like that was very much a huge surprise for everyone. He will be missed. I had mentioned food availability slightly earlier in this posting. Well, as you might guess, hospital food isn't the best in the world. That's certainly true at KHMH. I spent part of each day making runs for burgers and fries, pizza, fried chicken, rice and beans, you name it. Coffee became one of those things that was almost mandatory to gain admission to the ward. Luckily, there was a fast-food hamburger stand just across the street from the main entrance to the hospital. They were open every day except Sunday. On the hospital side of the street, in the mornings, there were several vendors selling buns, meat pies, tacos, juices, and coffee. Just down the road a bit, was probably the best Chinese fried chicken joint in Belize. Unfortunately, I don't remember the name of it, just that it was a little ways past the hospital round-a-bout on the main road. Once I became familiar enough with security, I found the secret place that most of the hospital employees either ate at or got take-away. You had to exit through the emergency room entrance, go behind the hospital and through a hole in the fence if the security gate wasn't opened, and to the right about a third of a block was this nice little restaurant. Great food, great selection, and fast service and a great price. They didn't cater to anyone else but hospital folks. Glad I discovered it. One thing I did learn is that Belize City is really easy to get around in. Ten days will teach you a lot about how to get around. It's not so scary now and is really quite well organized and much smaller than I previously thought. Thankfully, there is a privately-owned pharmacy across the street from KHMH. They stock a lot of stuff that the government hospital pharmacy doesn't carry. I don't know why they don't. I was just thankful that the little pharmacy did. Then came the day we had been waiting for. Dianna was being discharged. While she was packing up everything, I went down to the hospital Cashier. I had no idea what to expect, other than the worst. The cashier handed me the bill. I looked at it and immediately asked her if there was an error. No, it was correct. I thought she had made a typo. It read $500.00. Wow! Ten days stay in the hospital and that was all it cost. I was flabbergasted. Things I had to find - A walker, a cane, a toilet seat extender (all were available from Brody's), a rolling walker with seat, storage, and brakes (that was from A&R). Also came with a cup-holder and cane-holder. And here we are, back home. Then, after we get home, I've earned a new title. Since Dianna can't get around without her walker, I not only was the Chief of Maintenance at Casa Winjama, I took on the mantle of Head Chef. as well. And finally, after a four-month delay on coming home from the hospital, and having to essentially rebuild the pool, here is her reward for being such a good patient. 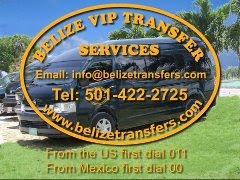 This is a great post for anyone who is researching a possible move to Belize to read. The ambulance service is similar to what Canada had in the 1970s; a speedy transportation service with a nurse with limited resources in attendance. Lots of positives here too. Thanks so much for your comment. I keep thinking of things I forgot to include... Maybe an addendum some time, who knows? I don't know why it took me so long to put this post together. I think I was still adjusting to how much our lives have changed as a result. Who knows? anyway, it was very much a cathartic exercise for me. Thanks again.